Dr. Lopes volunteered in July 2015 as a sports chiropractor. 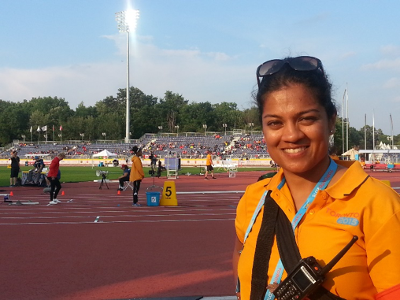 She assisted during the Opening Ceremonies as well as for the Men’s & Women’s Handball events. She provided both sports first responder and chiropractic services to athletes as part of the host medical team for the Games.